Use an Ethernet cable for Internet access (not Wi-Fi). If you need to use wireless, ensure the wireless router is as far as possible from your body and turn it off when not in use. Ensure that you turn off the Wi-Fi on your computer (tablet) and not just the router. Use a wired mouse and keyboard. Replace your cordless telephones with a corded landline phone. The new digital cordless phones in North America (DECT phones) constantly emit microwave radiation, even when not in use. The older analogue phones emit microwave radiation only when being used. The best option for reducing RF exposure is to use a wired phone. Text instead of talk, and use the ‘speakerphone’ option when talking and don’t hold the phone next to your head. Do not keep the phone in a pocket, in your bra, or on a belt. When the signal is weak and/or phone is searching for a carrier, it is transmitting at maximum power and should not be used at this time. When not using your cell phone, keep in airplane mode (with Wi-Fi turned off) so it does not radiate. Ensure that workers (students) are at least 3 meters from an electric panel and are not adjacent to a utility room as these generate high magnetic fields. Note: Low-frequency magnetic fields (those that we use for electricity) can penetrate walls, windows, doors, ceilings and floors. Consequently, exposure in one room may be coming from an adjacent room. For this reason, it is important to spend as little time as possible near such sources even if they are on the other side of the wall. Radio frequency radiation can also penetrate walls and is blocked or reflected by metal objects generating potential hotspots. If you are in a location where there are radio frequency (RF) sources and metal objects (filing cabinet, fridge, stove, sink, etc. ), your RF exposure may be higher or lower depending on the location of the source, the metal and your body. Recommendation: Have a qualified technician measure your workplace for electrosmog. 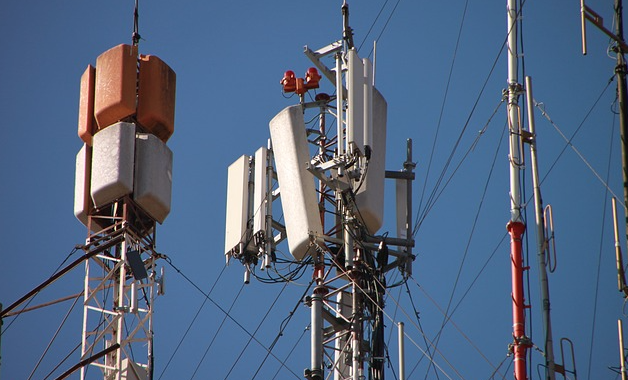 In areas where people spend hours each day, levels should be less than the following values: 1 milliGauss for power frequency magnetic fields; 5 V/m for power frequency electric fields; 40 GS units for dirty electricity; 0.01 microW/cm2 for wireless radiation; 0.5 V for ground current at 60 Hz; and 10 mV for kHz ground current. Remove wireless baby monitors. Wireless baby monitors constantly transmit microwave radiation. Infants should not be exposed to this radiation. Sound activated baby monitors are not yet available in North America but are available in Europe. Move clock radio (and other electric equipment) so it is at least 1 meter from your bed (clock radios emit electromagnetic fields that may affect sleep). Keep the bedroom as dark as possible as light also affects sleep. Unplug the computer at night if it is in your bedroom. Disconnect the Wi-Fi router and turn your cell phone off or keep it in airplane mode with WiFi turned off. This is especially important for children under the age of 18. Several national and international advisories are recommending that children under the age of 18 limit their cell phone use. Use iPods/iPads/smart tablets in airplane mode with WiFi turned off and use a wired computer for Internet access. Avoid use of electric blankets and waterbeds. If you need to use an electric blanket, unplug it after it has warmed the bed. This eliminates the electric and magnetic fields generated by these blankets. If you turn the electric blanket off but leave it plugged in, it will generate an electric field. So to reduce exposure unplugging the blanket is essential. Consider turning off the power (at the electrical panel) to your bedroom (and adjacent rooms) while you sleep. It’s a well-researched book on the dangers of electromagnetic pollution with some fundamental tips on how to avoid it and protect yourself from it and some interesting ideas and new technologies for a better and brighter future. 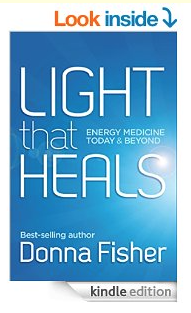 I strongly recommend getting the ebook or paperback: Light That Heals: Energy Medicine Today & Beyond by Donna Fisher – a timely warning for the conscious and health seeking individuals. Research suggests that 3-30% of the population might be already electrosensitive (see the conference on Electromagnetic Radiation or watch the video below from that conference). Having talked people who are electrosensitive and advising them, I can’t stress enough: prevention is better than cure. Donna Fisher’s website – she’s written other books on the subject. Some countries take the health of their population much seriously. For example the Republic of Kazakhstan. From the book: “The International Conference on Electromagnetic Fields and Human Health was held in the Republic of Kazakhstan in September 2003. In November of the same year, the state health department of the Republic of Kazakhstan issued sanitary norms addressing Transient EMF, a move which historically takes decades.” and “The Republic of Kazakhstan has acknowledged that there is no safe level of exposure to dirty electricity. A limit of 50 GS units (industrial) was immediately mandated to protect workers. For the public, in their homes and non-industrial workplaces, a reading less than 30 GS units is easier to achieve.” To find out more about The Republic of Kazakhstan, dirty electricity and electrosmog read the book. An organic foam mattress is ideal because it doesn’t contain any metal which can amplify electro-smog. Mention my name (Jan Cisek) and you’ll get 15% off the price. Most light (not red or orange though) and strong electromagnetic pollution (light is electromagnetic) will affect your melatonin production and consequently your sleep. Use eye masks if necessary. If possible, install a demand switch which will cut off all electricity in your bedroom once you switch off the last lamp (by your bed). There is one downside to the demand switch technology – you won’t be able to charge your mobile phone, etc. Earthing or grounding helps with electro-smog. People with electrosensitive report lesser symptoms when they’re earthed or grounded. 3) have regular short, 10-20min baths in the evening (my favourite). People who are electrosensitive discovered that they had fewer symptoms when they were having baths because they were naturally earthed. Add some Espom salts or magnesium (magnesium is depleted from our bodies when we get stressed) to your bath. 4) get Helios3 – geopathic stress harmoniser (very easy to install – just plug it into the socket) which adds Schumann resonance/waves – which is the heartbeat of the Earth to your environment. Dirty electricity (DE), which is mentioned a lot in Light That Heals: Energy Medicine Today & Beyond by Donna Fisher is very easy to solve. Just install some dirty electricity filters. Different houses, depending on the number of electrical appliances and the electrical wiring will require a different number of dirty electricity filters. It’s best to get somebody (like me) to measure the dirty electricity and install the right number of dirty electricity filters. But you can do it yourself: 1) get a dirty electricity meter 2) get some dirty electricity filters (most homes will need 5-20 dirty electricity filters depending on the levels of radiation). Please note that dirty electricity is different from general electromagnetic pollution – it’s just one of many aspects/sources of the electromagnetic smog. Ever. Read about the dangers of microwave ovens. Optimise your diet. The stronger your constitution the better. Donna Fisher suggests taking vitamin C and magnesium on regular bases. I take ginko biloba – it protects from environmental pollutions and radiation (ginko biloba was the only tree that survived the Hiroshima nuclear bomb). Check yourself for any mineral deficiencies and toxicity. I trust that you don’t have any amalgam tooth filings (metal can amplify electro-smog) – use Heavy Metal Magnet tablets which helps remove heavy metals from your body naturally and safely. And that you eat organic foods at home (and don’t use sugar – if you want an alternative to sugar then xylitol is the best option). There is a homoeopathic remedy for electrosensitivity called Algin if you’re electrosensitive. Learn tapping / EFT which helps with reducing stress and boosting the immunity. Mindfulness and breathing help too. Breath in for 5 seconds and breath out for 5 seconds without any pauses. HRV research suggests that this type of breathing syncs breathing with your blood pressure rhythm and improves your heart rate variability (HRV). Posted in Dirty electricity, Electromagnetic Radiation, Electrosensitivity and tagged Electromagnetic Hygiene in 12 Easy Steps – Summary of Light That Heals: Energy Medicine Today & Beyond by Donna Fisher.